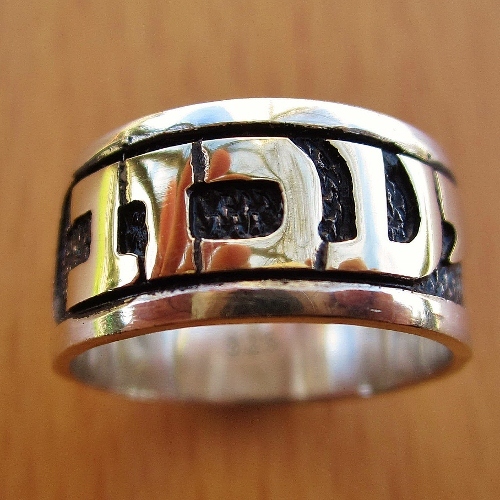 Solid gold name in Hebrew on Sterling Silver ring. Oxidized Background. Please specify the ring size and the name that you would like at the end of your order under "Comments or special requests."